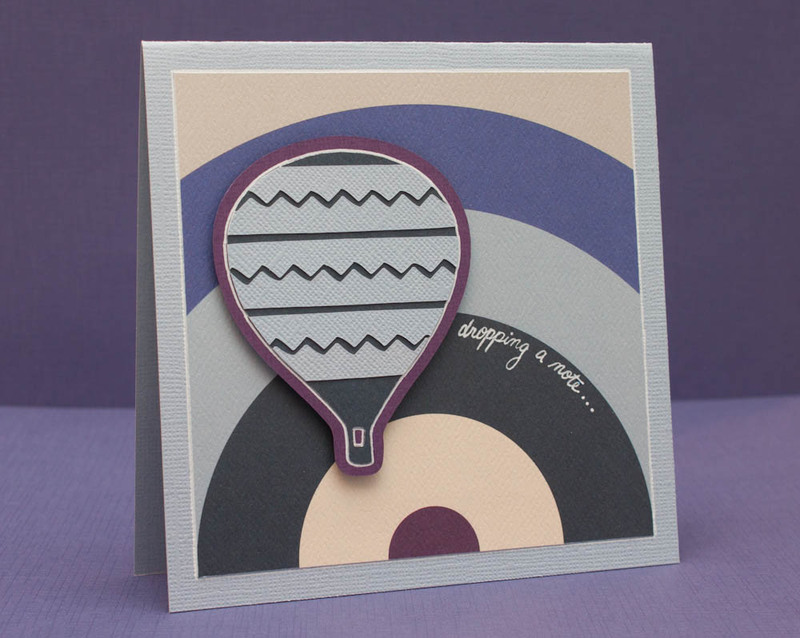 While planning this card, I had the perfect patterned paper in mind. 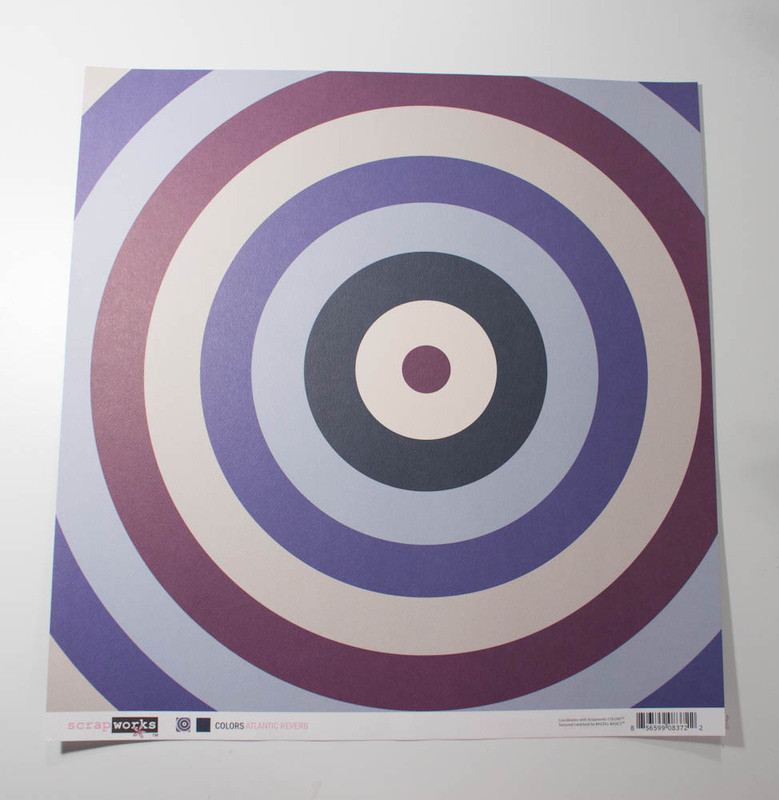 It features a design of concentric circles in multiple colors. My plan was to cut a square piece of it so that the circles look like arches, acting as a sky (in sunrise or sunset, if you will) for a hot-air-balloon cutout. I thought the paper, which I’ve had for at least four years, would have been partially used but that I’d have enough for my creation. I reached into my accordion paper storage, found the paper … and discovered a whole, pristine piece. It’s common for me to have pieces of unused paper that are several years old. Unfortunately, the company that produced it, Scrapworks, may no longer be in business. 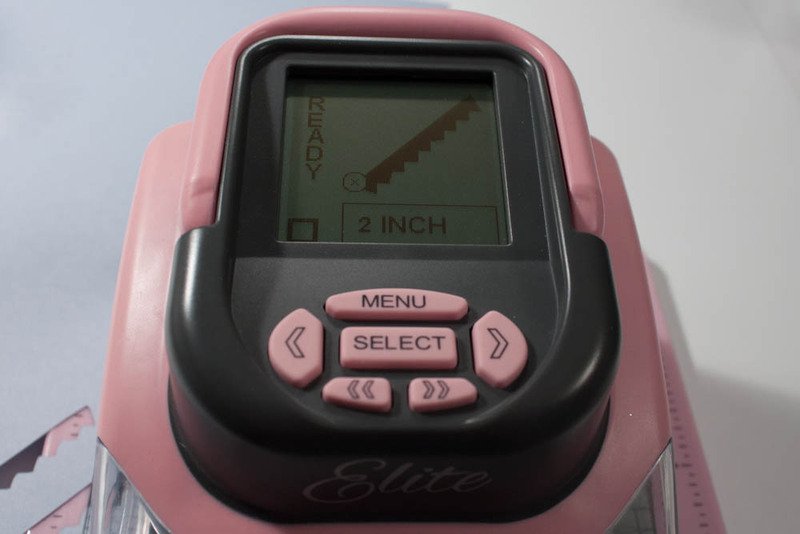 Its last blog post was in 2008 and its website no longer exists in cyberspace. A rare, untouched piece of patterned paper? Not for long! Time for this paper to serve its crafting purpose. Make a card from a 5-by-10-inch piece of light-blue textured cardstock. Cut a 4 1/2-inch-square piece of paper that features a pattern of concentric circles (perhaps you have “Atlantic Reverb” from the Scrapworks Colors collection) so that it looks like arches. Adhere it, centered, to the card’s front. 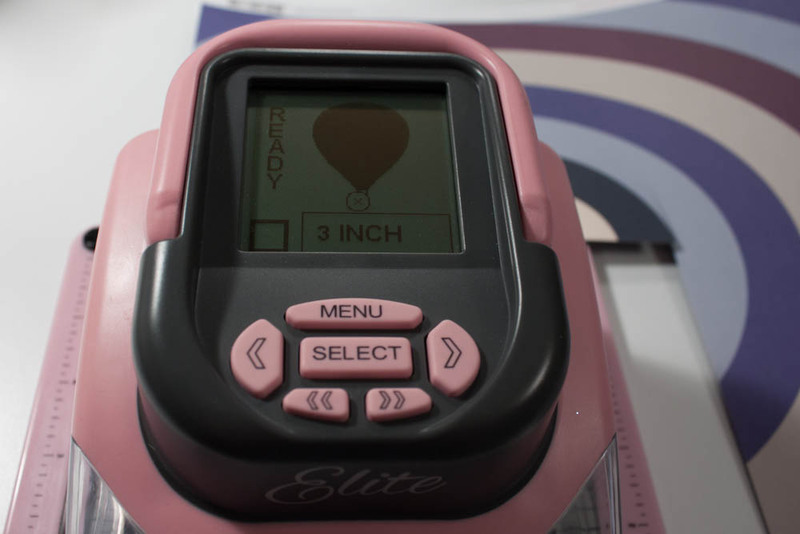 Create a 3-inch die-cut of a hot-air balloon (I used my Making Memories Slice Elite and “Summer” design card) in navy cardstock (my patterned paper has a coordinating navy on the back, so I used that. I cut with the navy side down, so as to have a smooth edge from the cut). 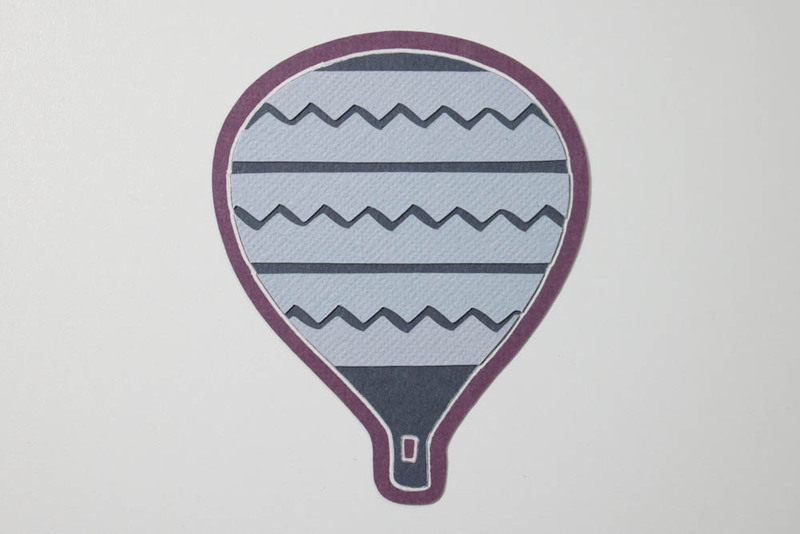 Create a die-cut of a shadow for the hot-air balloon in plum cardstock. Create six 2-inch-wide die-cuts of zig-zag tabs (I used the Slice “Greetings” design card) in light-blue textured cardstock. Adhere the tabs to the balloon portion of the navy die-cut, positioning them in pairs, so that the negative space creates zig-zag stripes. Trim the excess light-blue cardstock. Adhere this piece, centered, to its plum shadow. Outline the navy piece in white pen. 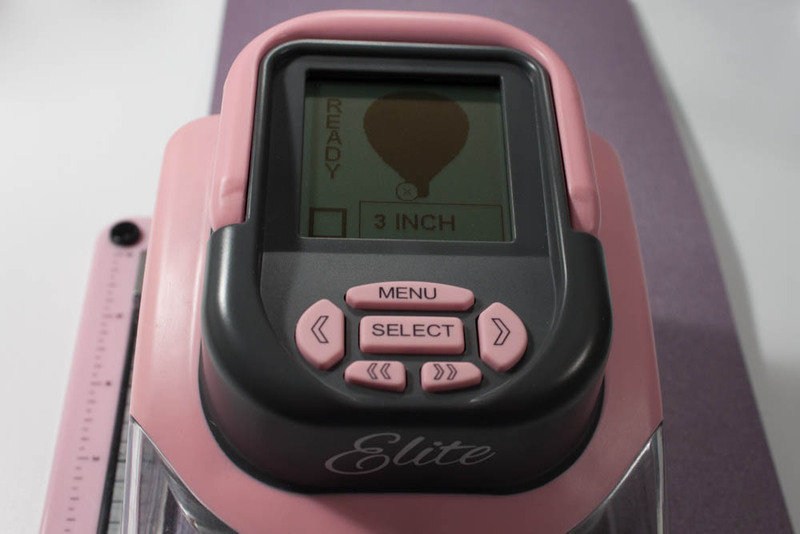 Using dimensional adhesive, affix the die-cut to the card’s front, centered near the left edge of the patterned paper. Use white pen to outline the patterned paper and to write “dropping a note …” along the edge of an arch in the pattern. This entry was posted in Uncategorized and tagged Making Memories Slice. Bookmark the permalink.